During 2019, the low Australian dollar will continue to provide good news for the hotel industry, as international visitors take advantage of favourable exchange rates and locals seek out more affordable holiday options at home. “The Australian hotel landscape is better positioned than ever to soak up this demand, with a tranche of new supply nationwide providing more diverse accommodation options in our top tourism destinations as well as new benchmarks in the luxury end of the market,” Senior Director of CBRE National Hotel Brokerage, Wayne Bunz, says. More than 6,500 hotels rooms—five per cent of the national stock—will be added to the market this year as global hotel chains and boutique suppliers compete for the international and domestic tourist dollar, notes the AFR. Research house IbisWorld expects industry revenue to accelerate over the next five years (from 2.4 per cent to 2.9 per cent per annum) to hit $10 billion by 2025 up from $8.4 billion in 2018. Headwinds for the sector will be the increased competition from Airbnb, which IbisWorld said would “weaken demand for low-end hotels over the next five years”. The value of Australian hotel deals hit a six-year-low of $1.8 billion in 2018 as Chinese investor capital deserted the sector and few flagship properties were offered for sale, notes Colliers International. Over 2018, just 37 hotels valued at $5 million or more changed hands – the lowest volume of deals since 2012, says the AFR. Capital city hotel profitability slipped in 2018 as the wave of new hotel openings made it harder for operators to lift their rates. Calendar year figures from leading consultants STR show revenue per available room (revPAR) fell 3.5 per cent in Perth and Brisbane, 1.9 per cent in Sydney and 0.6 per cent in Adelaide, with Melbourne recording zero growth, notes another AFR report. The revPAR metric – the occupancy rate multiplied by the average daily room rate—is the key performance indicator in the hotel market. More than 4,000 rooms—about a 3.8 per cent top up to existing stock levels—entered the market in fiscal 2018 with this growth expected to reach 6.2 per cent by 2021, according to hotel consultants Dransfield. Dransfield founder and director Dean Dransfield called the downturn in 2018 a “short-term blip” rather than a structural or cyclical change in the sector and attributed it largely to new hotels offering discounted rates to win customers rather than due to a “supply glut”. Looking at the national scene, Queensland continues to be the jewel in Australia’s tourism crown, accounting for 22 of the 56 new hotels that opened nationally in 2018, including some of the best luxury brands in Australia. In Brisbane, the luxury gap has been filled by a number of new openings this year – many of which represent true 5-star offerings not previously seen in Australia, including the Calile Hotel, W Hotel, the Emporium, and Ovolo The Valley. The Cairns’ hotel sector continues to gain momentum, with the far north tourism destination receiving its first new major hotel product in more than two decades in 2018. Testament to Cairns’ strengthening hotel industry is the current level of capital being injected into the area, including a $500 million investment from Dubai-based GA Group with its five-star Crystalbrook Collection—the Riley, the Bailey, and the Flynn. “The entry of five-star, luxury, boutique and lifestyle hotels in Cairns will raise the bar considerably and help to attract a new wave of travellers to the already popular tourism spot,” says Mr Bunz. “With more options at this top end of the market, existing hotels in the area that haven’t refurbished or remained competitive, in terms of quality, service and rates, will experience challenges,” he adds. IbisWorld says that many hotels would need to “move away from price-based competition and differentiate themselves through other methods, such as luxury and exclusivity”. 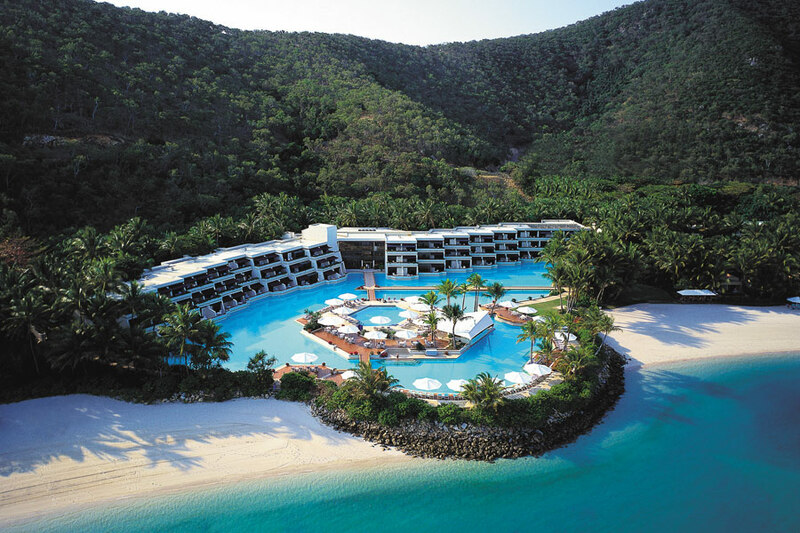 The Whitsundays will be back on the luxury destination radar, with the reopening of Hayman Island and Daydream Island in 2019. Rebuilding these resorts after Cyclone Debbie in 2017 has been a silver lining, providing an opportunity for these operators to reinvest insurance money and substantially improve these resorts, capitalising on a location that is regarded as one of the world’s greatest luxury destinations. On the other hand, an oversupply in residential stock in some areas pose a threat to the hotel market, given the potential for these to be tipped into the overnight letting pool or Airbnb. There has been some evidence of this in Melbourne recently and on the Gold Coast over the years. While CBRE expects hotel occupancy in Melbourne to be sustainable, pressure on room rates will likely increase. Nevertheless, this will lead to an increase in buying opportunities in Melbourne over the next two-to-three years. Major population growth is driving demand in the burgeoning suburbs, and with the city forecast to expand by an additional 2.8 million by 2046—the largest growth nationally—the trend shows no sign of slowing. “Metropolitan Melbourne has been starved of institutional quality hotel product, and the few investment opportunities that have come to market have been hotly contested,” says Peter Harper, the head of JLL Hotels & Hospitality Group’s Melbourne office. After a five-year hiatus, one of the world’s most famous hotel brands, Hilton, is set to return to Melbourne with a 600-room flagship luxury offering to open on the city fringe in 2022, notes the AFR. The new Hilton will form part of Malaysian developer OSK’s colossal $2.8 billion Melbourne Square project in Southbank, which is currently under construction. It adds to a big pipeline of luxury hotels coming to Melbourne, including Shangri-La, Mandarin Oriental, Ritz-Carlton an W hotels. Sydney, on the other hand, remains a tier one tourism destination where limited hotel investment stock available. “Competitive buyer tension has recently driven prices to new highs, as evidenced by the sale of Little Albion this year, which achieved a record price per key, says Mr Bunz.